The story of its legacy began in 1705, when Hugh Mason, a livery stables keeper, rented a spare room to William Fortnum, a footman in Queen Anne’s household. The Royal Family called for having new candles every night, so every evening, when royal courtiers were retiring, Fortnum emptied the candlesticks of the half-used candles and took them home to his lodgings, where he melted them down, replaced the wicks and created new candles. So successful was his enterprise that he convinced his landlord, Mason, to set up shop with him in St. James’s Market, and two years later, in 1707, the two opened their doors on Duke Street. Fortnum’s ingenious idea for selling Queen Anne’s half used candle wax, at a profit, paved the way for the beginning of a respectable business. The rest, as they say, is grocery. 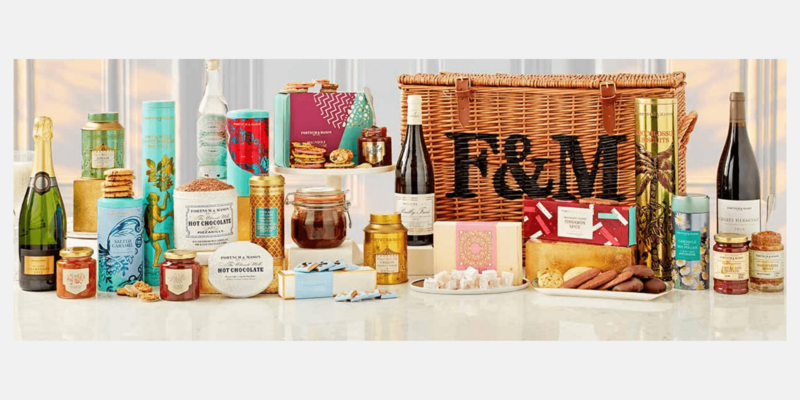 Today, Fortnum & Mason—or Fortnum’s, as it is often called for short—is a food destination famous for not only its exquisite custom-blended teas, but also its delicious accompaniments, like marmalades and biscuits, and its gift sets, presented in the original Fortnum’s hamper. 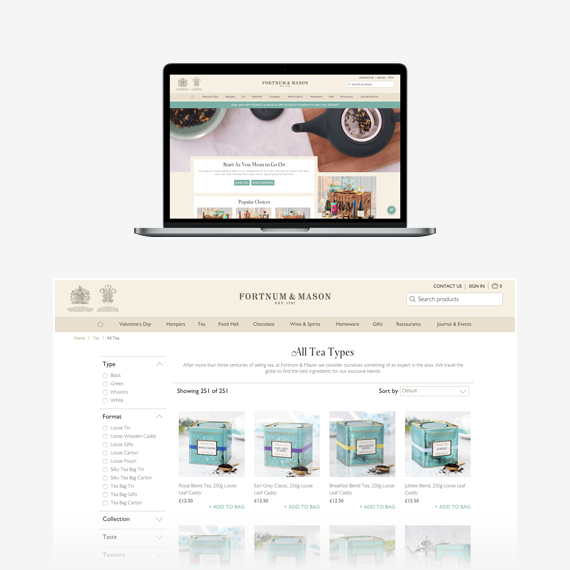 Throughout its long history, Fortnum & Mason has been at the forefront of retail innovation, and in 1998 it was one of the first retailers in the UK to launch a transactional website. However, in 2015 the company needed to move away from what was becoming end-of-life technology, drastically improve user experience and speed of use and team with platform that could be continuously improved as digital channels evolve. The renowned store in London’s Piccadilly completely replaced its existing e-commerce platform, opting for an open-source solution. Deploying such a platform might seem quite daring for one of the oldest luxury shops in the world, however, it has proved nothing but a big success ever since. Designed and developed in just eight months, the new, responsive website was built with tools for continuous deployment like Circle CI and Ansible integrated into Slack. This means any member of the project team, technical or non-technical, can turn on regular new features and updates. Since its rollout, mobile visits improved 77% YOY, and mobile conversion increased 57% YOY. During its first week alone, conversion improved +14% YOY and the average order value increased by 5% YOY. One year after the implementation of the new Spree based website, total sales went up +30% YOY and calls to the customer service centre dropped by 28%. 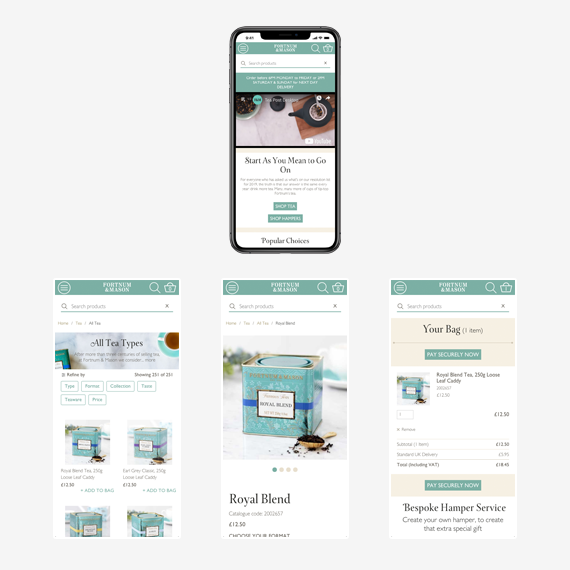 Fortnum & Mason chose Spree for its fully responsive eCommerce site, to ensure that online customers enjoy the same high quality experience that the brand has been providing in store for over 300 years. “As well as being beautifully designed, the new site is fast, slick and easy to navigate – and is truly responsive, providing the same experience across multiple devices. The site reinforces the brand experience that our customer’s expect and since the site went fully live we have seen incredible results in increased revenues, increased conversion rates, but most importantly, amazingly positive customer feedback.” said Zareem-Slade.